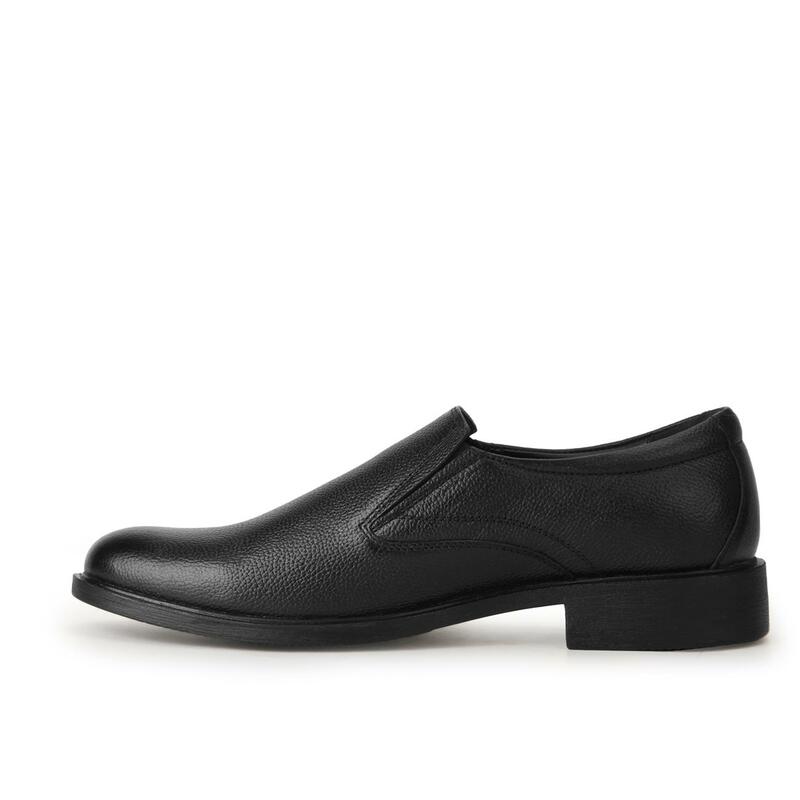 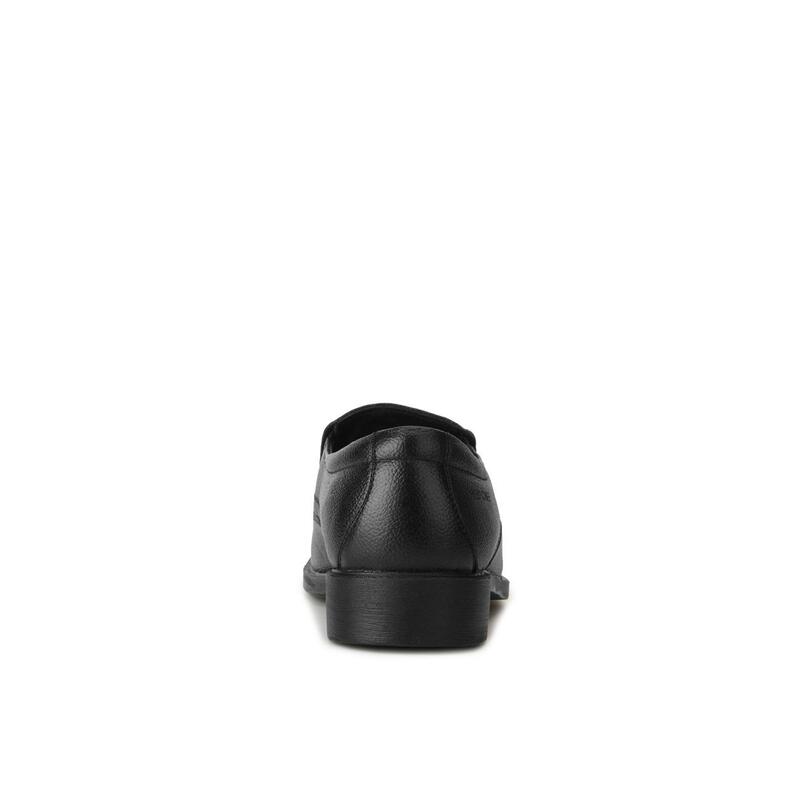 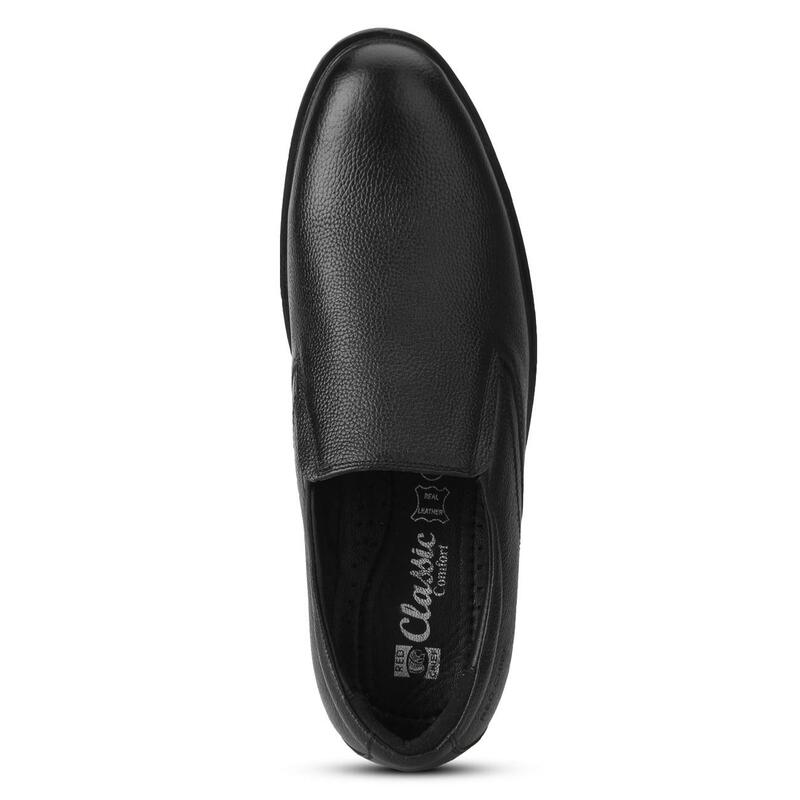 Black in colour, these formal shoes by Red Chief exude sophistication and elegance. 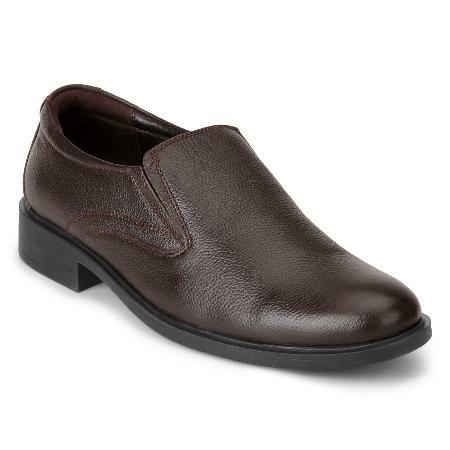 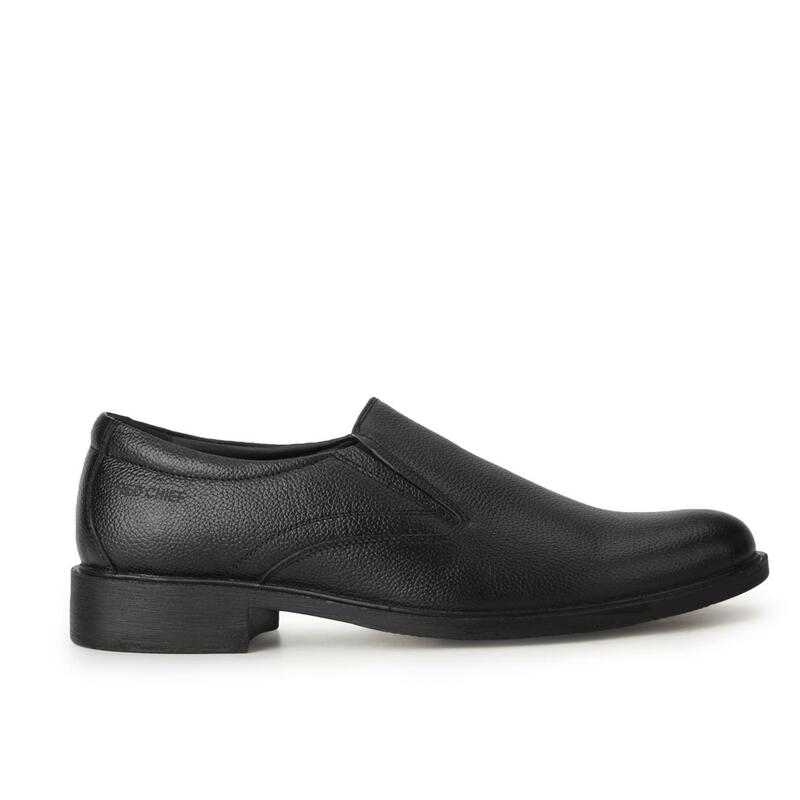 Featuring a lightweight, soft goat nappa leather upper, these slip-ons have a cushioned footbed for impact resistance. 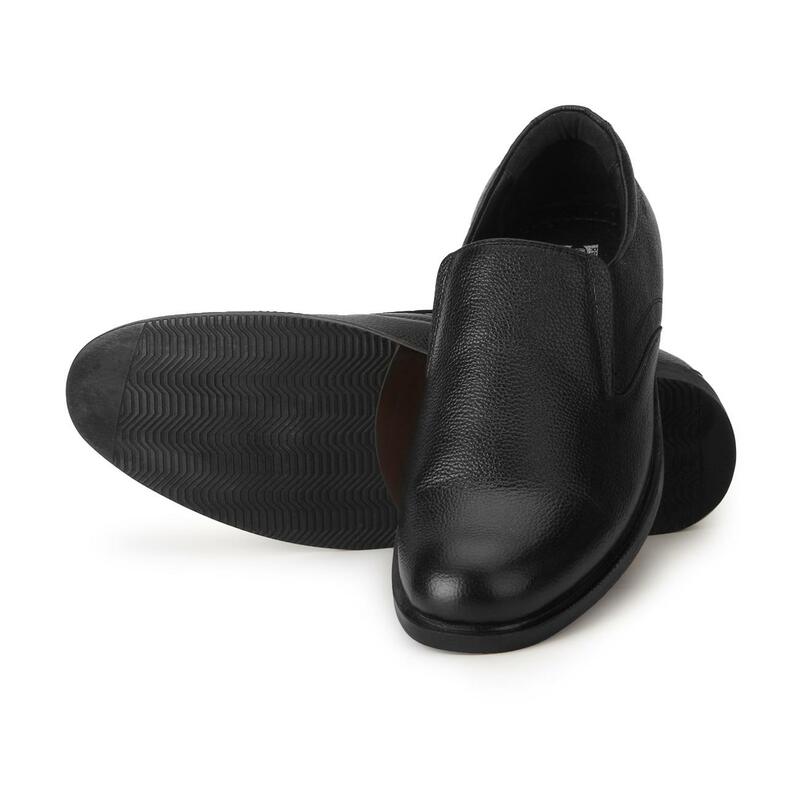 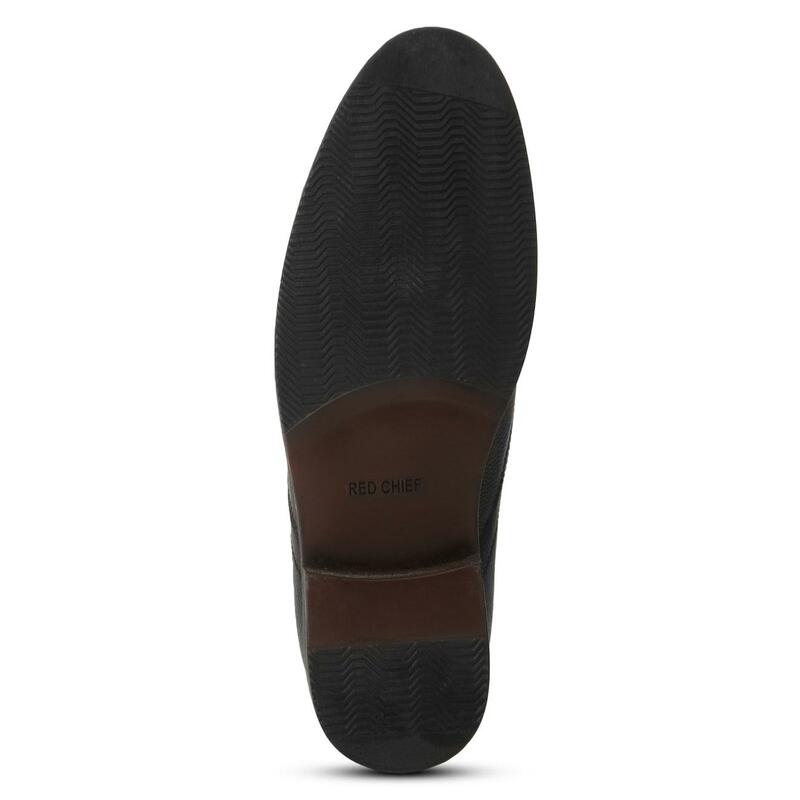 Detailed with a tough PU (polyurethane) outsole for better flexibility, these shoes will go well with flat-front trousers.